The Universe beckons once more. You and your swarthy seven person crew have battled across the galaxy. Creeping around hostile bird-person ruins, mining alien deserts for their precious resources, and vaporizing everything that runs at you with the urge to kill has only served to strengthen the bonds of you and your posse. However, you soon realize that the universe is a lot more narrow in scope than you expected, so you and your friends return to Earth and convert your space ship into a novelty food truck specializing in fajitas or something. Thus was the beautiful cycle of those who first played Starbound. This game has been in Early Access since December 2013, but unlike most games doomed to an incomplete Purgatory for all eternity, it is finally getting a proper 1.0 release very, very soon. 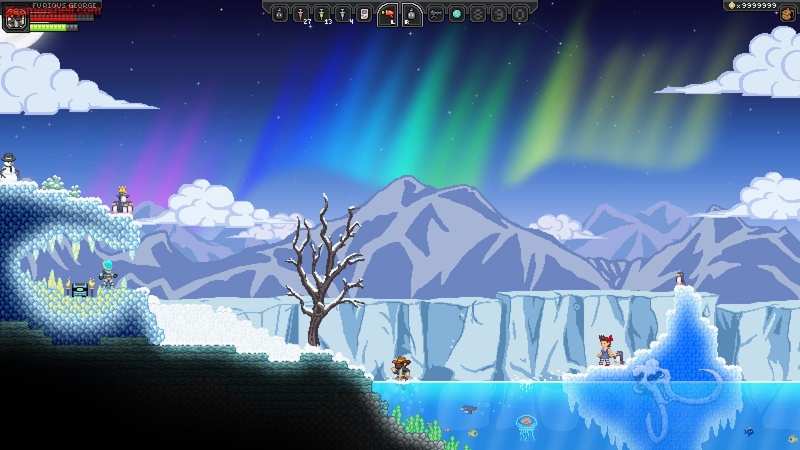 That's right: you will be able to launch into a fully realized and implemented Starbound in the near future. While the exact date of the full release remains under wraps, developer Chucklefish has revealed on their Forums some of the dirty details of the 1.0 update, including brand new weapons, side quests, full fledged dungeons, and tons of new stuff floating around for players to enjoy. Multiplayer is also vastly improved, so getting into friends games is no longer an arcane process of server maintenance, instead relying on Steam Invites. For those of you who cherish the Old Ways, you can still use those. Chucklefish is also bringing back the Hunger mechanic for a special Survival Mode. Call me crazy, but I really like the concept of my spacefarer needing to take time out to scarf a candy bar or cautiously nibble some weird mushroom he found back on the Jellyfish planet. You can check out plenty of additional patch notes on Chucklefish' Dev Blog. 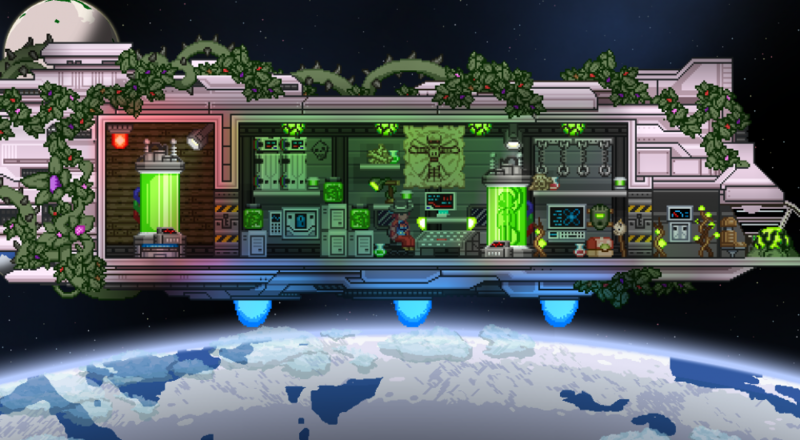 For anybody out there who liked Starbound initially, the full release might push you back into deep space.